Apple's next-generation iOS operating system, preview expected in June. Expected to debut at WWDC in June, iOS 13 is Apple's next operating system for iPhones and iPads. Rumored features include a Dark Mode, iPad interface updates and a new Home screen. Subscribe for regular MacRumors news and future iOS 13 info. The next update to the iOS operating system that runs on the iPhone, iPad, and iPod touch is already in development at Apple's headquarters in California. While we know a limited amount about the new software at this point in time, we have heard some interesting rumors that shed light on some of the features and changes we can expect to see in the update, which, based on past updates, will be called "iOS 13." iOS 12 marked a major shift in Apple's iOS development policy, and engineers now have more freedom to push back features that aren't ready when necessary. Apple is also now working on the next two years of updates at the same time, allowing under-developed features to be delayed while continuing to provide yearly updates. For that reason, iOS 13 is potentially more developed already than prior updates, while at the same time, leaving open the possibility that any rumored feature could be postponed. 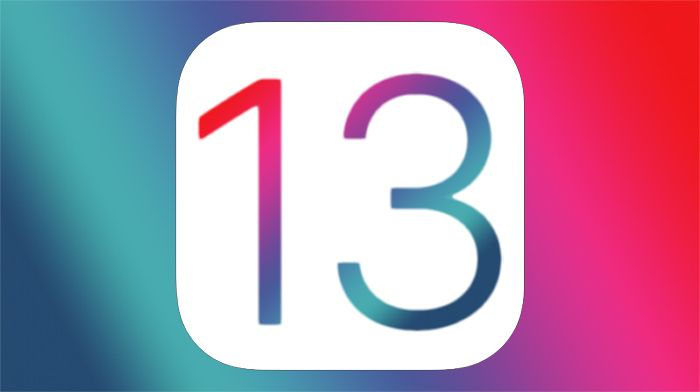 There are some details about iOS 13 that we already know because Apple delayed features in iOS 12 to iOS 13 to focus on bug fixes and under-the-hood improvements. Most of these features were shared by Bloomberg. We can expect a redesigned Home screen interface, improvements to Photos, iPad specific updates, cross-platform iOS and Mac apps, and more, with additional detail available below. Note: See an error in this roundup or want to offer feedback? Send us an email here. iOS 13 will include a dark mode for the first time, a feature iOS users have desired for quite some time. The dark mode will match the dark mode that was first introduced on macOS Mojave and it will allow for "easier nighttime viewing." Apple's WWDC artwork this year has a darker theme, perhaps hinting at the upcoming dark mode that we can expect to see in iOS 13. Several features in iOS 13 will be focused on the iPad. Apple is said to be introducing a feature for displaying multiple windows in a single iPad app using a tab view. Improved multitasking is coming to iOS 13, with iPad apps to support multiple windows and stackable cards within apps. Apps will feature sheets that are initially attached to a part of the screen, but that are able to be detached with a drag gesture to become a card that can be manipulated. Cards can be stacked on top of one another and a depth effect will indicate the cards on top and the cards on bottom, while flinging a card will dismiss it. Apple is said to be working on a new Home screen for the iPhone and the iPad, but we don't know what it will look like. CarPlay is also expected to get a new Home screen to match. While there are few details on what a revamped Files app will look like, Apple is said to be working on new features for it. iPads are expected to gain a new standard undo gesture for text input, which will allow users to undo or redo an action using a three finger tap on the keyboard area and a slide left or right. New gestures that will allow users to select multiple items in table views and collection views will be added, allowing them to drag multiple fingers on a list of items to draw a selection, similar to a click and drag in Finder on the Mac. iOS 13 is rumored to include a new volume HUD that's perhaps going to be less obtrusive than the current one. The Mail app will organize messages into searchable categories like marketing, purchases, travel, "not important," and more, plus there will be a read later queue and an option to mute incoming Mail notifications for specific email threads. With iOS 12 and macOS Mojave, Apple introduced a new framework for bringing iOS apps to the Mac, and as a test, several iOS-only Apple apps, such as Stocks, Home and Voice Memos, were ported to macOS. In iOS 13 and macOS 10.15, Apple is planning to expand this functionality to developers, which will make it easy for iOS apps to be tweaked for porting to the Mac. New emoji won't be available when iOS 13 is released, but in an iOS 13 update later in 2019, Apple will introduce new characters. 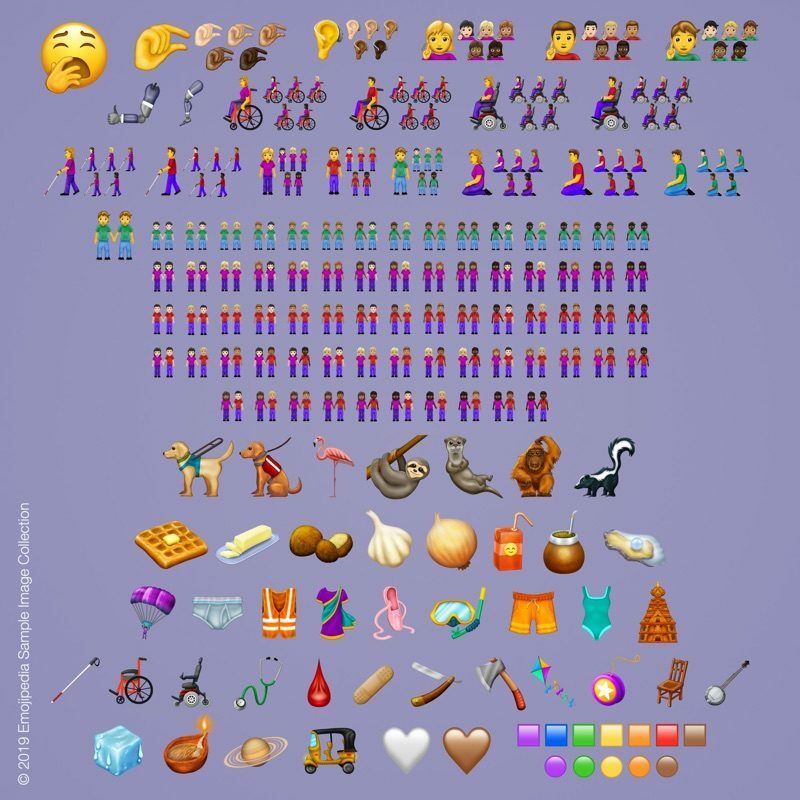 The Unicode Consortium has finalized the characters that are being added to the emoji standard, and some of them include flamingo, otter, waffle, sloth, white heart, people holding hands, ice cube, snorkel, orangutan, juice box, falafel, and more. Apple is working on a new app that combines Find My Friends and Find My Phone into one, which could potentially debut in iOS 13 and macOS 10.15. The app will include a new "find network" feature for allowing Apple devices to be tracked even when not connected to Wi-Fi or a cellular network by leveraging other nearby devices. The app will include existing Find My iPhone features like Lost Mode and an option to remotely wipe a device. Location-based sharing options pulled from Find My Friends will also still be available. Apple is also said to be working on a related hardware product, described as a Tile-like item tracker. It has been described as a "tag" that can attach to any item and paired to a user's iCloud account. It will rely on proximity to the iPhone, with users receiving an alert when their device gets too far from the tagged item. There is no word on when Apple might debut this accessory, but it could come in the fall alongside new iPhones. For developers, iOS 13 will bring improved Siri integration for media playback, search, voice calling, event ticketing, message attachments, flights, and more. Other developer-focused features include ARKit improvements with a new Swift-only framework for augmented reality and a companion app that will let developers create augmented reality experiences visually. ARKit will also support game controllers and stereo AR headsets. New frameworks for expanded use of the Taptic Engine will be included, as will document scanning support for third-party apps and the ability to capture photos from external devices without having to use the Photos app. NFC will be improved and developers will be able to add support for expanded NFC formats to their apps, and there is an updated version of CoreML being added. 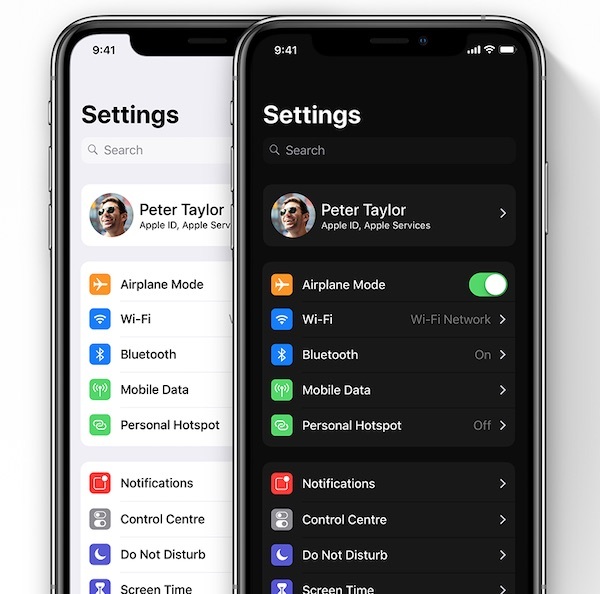 Font management will improve in iOS 13, with the Settings app to gain a new font management menu. Safari in iOS 13 on iPad will automatically load a desktop version of websites when necessary. Apple plans to double the length of the video that's attached to a Live Photo, going from three seconds to six seconds. Apple is implementing a new design for the Reminders app, which will also extend to macOS 10.15. Hey Siri is going to get better at filtering out ambient noises like laughter and crying babies. Rumors suggest Apple may be planning to add USB mouse support to the iPad Pro as an accessibility feature, without the need to use an adapter. The iPad Pro's USB-C port will reportedly allow you to plug in a USB mouse as an alternative input method for those unable to use a touchscreen. It's not clear when this feature might be implemented, but it could come as early as iOS 13. Work on iOS 13 is already well underway at Apple's Cupertino campuses, and visits to the MacRumors website from devices running iOS 13 with Apple IP addresses have picked up over the last few months. Visits began in early 2018 and increased over the holiday months. Apple starts work on new versions of iOS many months in advance, and as a June preview date approaches, we should see a growing number of visits from iOS 13 devices. Our forum members are already discussing the features they hope to see in iOS 13, so if you have something you think Apple might add, feel free to join in on the discussion. iOS 13 will be previewed at the Worldwide Developers Conference, which will take place from June 3 to June 7 this year. Following iOS 13's unveiling at WWDC, it will be provided to developers for testing purposes, followed by Apple's public beta testing group. When beta testing has finished in the fall, iOS 13 will see a public release alongside new iPhones, provided Apple sticks to its traditional release schedule. Jan 1 What Do You Want to See From Apple in 2019?